There was a lot of conversation and a lot of press coverage about Uber in 2017, much of which focused on the embattled former CEO Travis Kalanick. Kalanick stepped down from the rideshare giant last year in the midst of quite a bit of controversy, the majority of which centered around the corporate culture within Uber. For example, there were reports that at Uber under the leadership of Kalanick, it wasn’t uncommon to see office parties with kegs of beer and vomiting employees. Kalanick stepped down and was ultimately replaced by the new CEO Dara Khosrowshahi, who has since been focused on bringing a sense of accountability and good behavior to the company. Despite the controversy, based on expense reports from businesses in 2017, Uber hasn’t fallen out of favor in terms of business travel preferences. 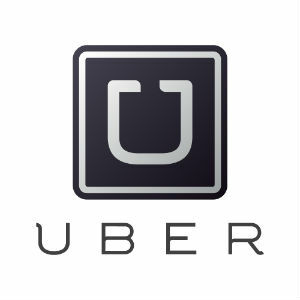 Uber was the most expensed brand in 2017 according to reports from expense management companies. Of all ride-hailing receipts, Uber still maintains the market share at 82%, with Lyft coming in way behind them in the second place spot, claiming 18% of the market. Uber also gave nearly 4 billion rides in 2017 as compared to Lyft at 375.5 million. When it comes to overall ground transportation, ride-sharing made up 68% of transportation last year, and when breaking that down between Uber and Lyft, it was 56% and 12% respectively. While Lyft still has a lot of catching up to do in general and with regard to business spending for ridesharing, it has grown significantly. In 2015 as an example, Lyft only had 4% of marketshare, and Uber had 96%. While Uber and Lyft battle it out to be the leader among business travelers, there is one category of transportation that’s seen major declines as a result, and that’s the taxi industry. Also suffering in recent years are car rental services. According to a Yahoo! Finance article, some of the other sharing startups haven’t done as well with business travelers. For example, while Airbnb has doubled lodging receipts according to some outlets since 2014, at least regarding business travel, it accounts for less than ½ percent of all the lodging. Airbnb’s co-founder and Chief Strategy Officer hopes to start working toward the company’s objective of being a go-to lodging destination for more business travelers and move beyond being thought of as primarily a platform for leisure travelers. Among hotels, some reports show Hampton Inn is one of the most expensed, with Marriott and Courtyard by Marriott coming in at the second and third spots. Regardless of the preferences among business travelers when they’re making plans, most analysts do feel there’s an overarching positive message to take away from the data, and that’s the fact that business travel is going strong. When business travel is active and healthy, it tends to be a positive sign for the overall economy, and corporate America is hoping to hang on to that strength throughout 2018.